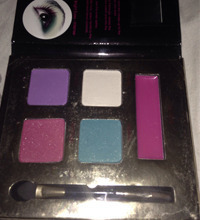 Swiss Beauty introduces gorgeous, beautifully pigmented highlighter palette that feature five color-coordinated highlighters. Mix, layer and blend to create your unique multi-dimensional look. The silky, lightweight formula applies on smooth to complement any skin tone. Pigmented & blendable for that perfect glow that leaves you looking fresh! We offer huda beauty glitter eyeshadow to our clients, kindly contact us for more details. To meet the precise demands of clients, we offer a wide range of Makeup Color Plate. We offer colored-concealer-palettes to our clients, kindly contact us for more details.